Satellite Television and DTH are usually confused. Satellite Television service is made available with the help of satellites found in orbit and broadcast DTH is a commercial term. The things are not clear to you with this one statement. First understand the fact – DTH service is provided by various Groups and Companies. There is no need to understand the full form of DTH, DDS etcetera for normal usage. These basically are not relevant or confusing from a users’ point of view. Satellite Television is the main deployment of the actual service which delivers television signals with the help of satellites found in orbit around the Earth. In addition to television programs, they often broadcast other programs and enables in addition a number of other services. The whole thing is usually labeled as DTH. This is the basic thing. That DTH actually has many things like custom program (software), Radio service etc. which are controlled by the Nation’s broadcasting authority. These things has been explained in details below. Previously, we wrote about Set-top Box. Initially the satellites had very feeble signal and located in awkward locations (from the point of view of a consumer), so they needed huge dish-antennas to receive the signals. This is the basic reason why we used to see bigger sized dish antenna before. These are commonly used coined terms. But the transmission power of the satellites quickly grew and they put them on needed orbit, thus allowing direct receiving with a fixed antenna. Thus each viewer can grab the signals with a small cheap antenna to catch the programs – provided only the satellite is in viewable range. All this great work up to ± 70 ° to the north or south of the equator. Over 50% users, globally now uses the DTH Satellite Television service using their own box provided by the service providers. Rest still uses the usual cable from the operator. Cable operators can be taken as ‘Reseller’ who basically supply the signals over cable to the client. Both basically needs a Set-top Box. But, the direct service obviously has the advantage over Cable operators as individual users can directly connect with the main company, somewhat like like we do with the Internet Service Providers when we are using a 3G or 4G/LTS SIM. Plus, the issue with tangling of the cords, drop of quality of video is avoided. In other words, DTH Satellite Television service is preferable over the Cable operators both for customers’ advantages and for a clutter free clean environment. Take that, except language there is not much difference in the basics of delivery of Internet based services and Satellite television; right now. Satellite Television comes to the general public in two distinct flavors – analog and digital. Analog basically can not be compared with Internet based services but the digital one. This necessitates either having an analog satellite receiver or a digital satellite receiver. Analog satellite television is being replaced by digital satellite television and the latter is becoming available in a better quality known as high-definition television. So, without any further thought you must purchase a set that is for the High Definition service because you can use the analog service with the newer one (backward compatible). Direct broadcast satellite, (DBS) also known as “Direct-To-Home” or DTH can either refer to the communications satellites themselves that deliver DBS service or the actual television service. DBS systems are commonly referred to as “mini-dish” systems. DBS uses the upper portion of the Ku band, as well as portions of the Ka band. Many satellite TV customers in television markets get their programming through a direct broadcast satellite (DBS) provider. The provider selects programs and broadcasts them to the subscribers as a set package. Basically, the provider™s goal is to bring dozens or even hundreds of channels to the customer’s television in a form that approximates the competition with cable TV. Unlike earlier programming, the provider™s broadcast is completely digital, which means it has high picture and stereo sound quality. Early satellite television services broadcast in C-band – radio in the 3.7 GigaHertz (GHz) to 4.2 GHz frequency range. Digital broadcast satellite transmits programming in the Ku frequency range (10 GHz to 14 GHz ). Programming sources are simply the channels that provide television programming for broadcast. The provider (the DTH platform) does not create the original programming itself. The broadcast center is the central hub of the system. At the broadcast center, the television provider receives signals from various programming sources, compresses these signals using digital video compression (encryption if necessary), and sends a broadcast signal to the proper satellite. Internet, Ethernet are the backbone for receiving signals from various programming sources to that Hub. Which we do not need to know as customers. This is why most Internet Service Providers has parallel “Dish TV” service. Often broadcasters broadcast their programs via satellite for the signal feeding to the FM transmitter. The situation is different in sparsely populated areas. In U.S., companies offer XM Radio and Sirius Radio Radio reception via satellite. The fees are under $ 15 / month. In cities where skyscrapers shade the signals used partially pseudolite signal broadcasting. Since the carrier- to-noise ratio (CNR) is very low in satellite transmissions – typically 10 dB to 18 dB – (the transmitted information of signal is only slightly above the noise between the transmitter and receiver), in digital transmission only modulation methods such as 2-PSK, 4-PSK and 8-PSK come into question. Current satellites are using 4-PSK and can thus transmit 2 bits per symbol (known as symbol rate). The spectral distribution of a frequency modulated composite signal is a bit inconvenient, so in weak signal conditions while images with low color saturation can still be transferred very quality images with intense reds, however, this leads to the so-called “little fish” effect (black and white smears). Since the signals of television stations must be sent to the satellite and back to the audience, there is a delay between 239 ms (the equator) and 270 ms (70 latitude) compared to the transmitted signal. 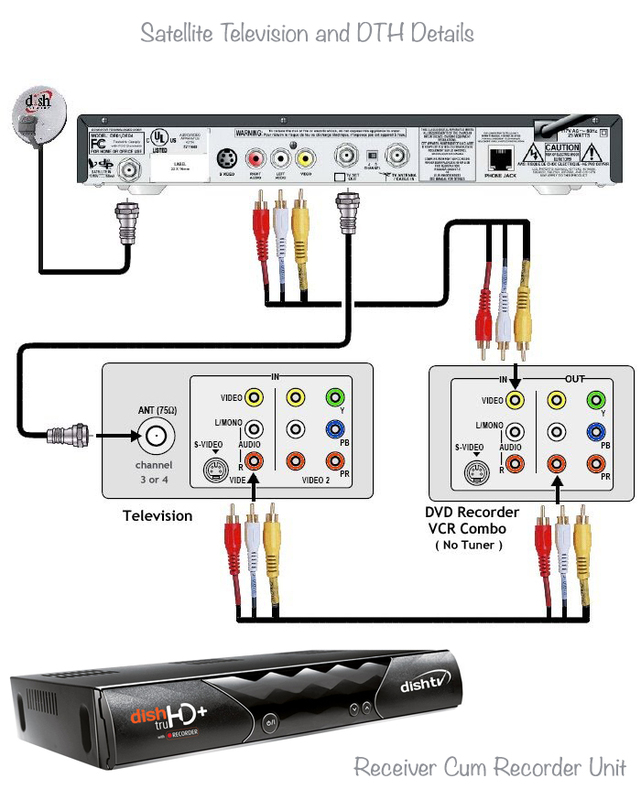 This delay, which is also present in the analogue reception is increased with the digital reception is decreased by the MPEG-2 and MPEG-4 encoding and other methods. Multiplexing transmitters and buffering intercept of data rates, split the available data rate between several transmitters of a transponder. Usual delay times for digital satellite reception are therefore one to five seconds. Cite this article as: Abhishek Ghosh, "Satellite Television and DTH Details," in The Customize Windows, July 4, 2013, April 19, 2019, https://thecustomizewindows.com/2013/07/satellite-television-and-dth-details/.